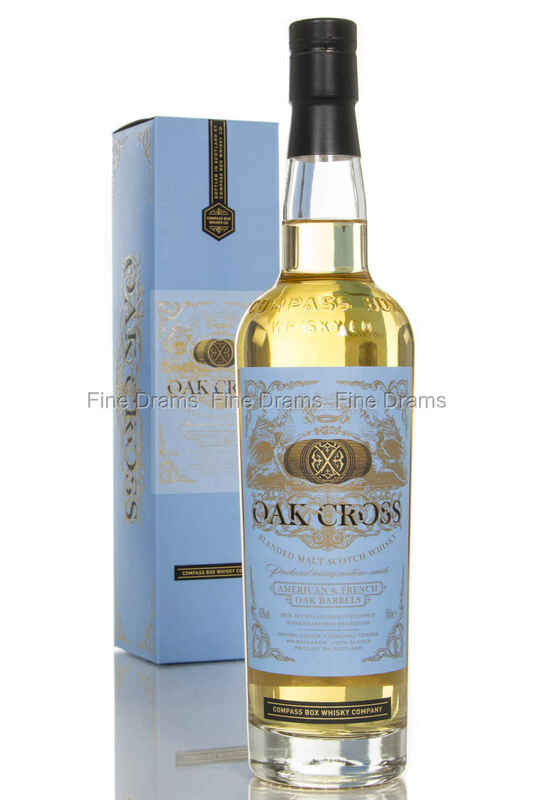 The Compass Box Oak Cross is named as such because it offers the best of both American oak and French oak ageing. The secondary maturation in French oak maturation happens in casks fitted with new French oak lids produced by small mill in France. This whisky’s flavour is characterized by clove, subtle vanilla and a delicate fruitiness.